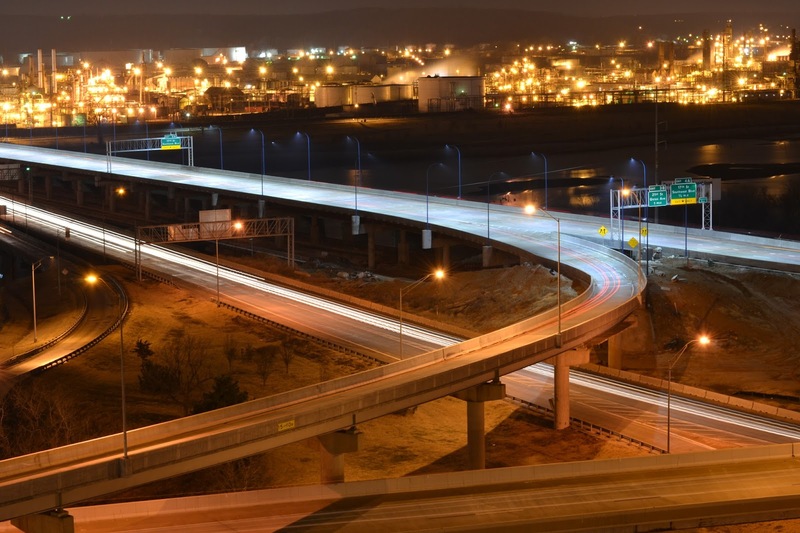 The Oklahoma Department of Transportation (ODOT) has been better than any of its peers at repairing and replacing structurally deficient bridges over the last decade, according to a recent study by the American Road & Transportation Builders Association. According to the study, 5,928 of Oklahoma’s 23,528 highway and local bridges had been deemed structurally deficient in 2007, which ranked second highest of all states. By 2016, that number had been reduced to 3,460 deficient bridges, meaning there were 2,468 fewer deficient bridges in 2016 than there were in 2007, accounting for a 41.6 percent reduction in deficient bridges, the largest reduction in the country. Garver came to Oklahoma in 1993 and has offices in Tulsa and Norman, and is a longtime consultant with ODOT. The company's Transportation Team aided in the reduction of deficient bridges by leading several projects that have provided Oklahoma with new highway bridges. Garver provided design plans for six projects included in ODOT’s load-posted bridge replacement program. The work included survey, grading, drainage, and roadway design, traffic control, hydraulic analysis, geotechnical investigation, and design to replace bridges on offset and existing alignments. The project included replacing highway bridges in three different counties over Big Cedar, Spencer, Gaines, Dry and Mud, Walnut, and Albion Creeks. Garver contracted with ODOT to reconstruct three bridges in Ottawa County. The scope included the reconstruction of a rural two-lane highway and bridge over Sycamore Creek, to produce a conceptual design study for the interchange and bridge at the U.S. 60/U.S. 59 interchange, and to replace the U.S. 69 bridge over Tar Creek in Ottawa County. Design services included survey, bridge hydraulic analysis, roadway and traffic design, and bridge design. In replacing State Highway 10 over Sycamore Creek, Garver provided bridge hydraulic analysis, roadway and traffic design, and bridge design, while upgrading the bridge to 12-foot lanes and eight-foot shoulders. Garver also provided a preliminary engineering study, roadway, traffic, and bridge design for the U.S. 60 bridge over U.S. 59. Garver provided a preliminary engineering and final design services for three bridge replacement projects in Grant County. 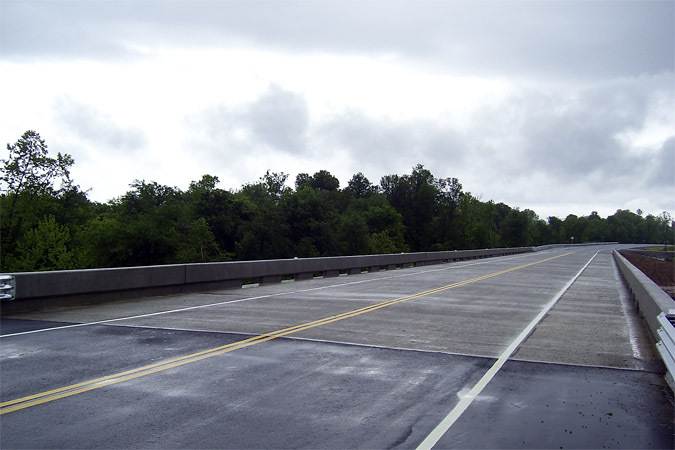 U.S. 60 over Pond Creek was replaced with a curved four-span, prestressed beam structure, U.S. 81 over Polecat Creek and one unnamed creek was replaced with a three-span beam bridge, and U.S. Highway 60 bridge over Boggy Creek was widened for 12-foot driving lanes with eight-foot paved shoulders. Garver provided design services for one mile of Interstate 44 over N 165th East Avenue in Tulsa, which included grading, drainage, surfacing, erosion control, traffic control, bridge widening, traffic signal warrants, level of service analysis, highway signage, and pavement markings. Garver also worked with ODOT to determine future roadway capacity requirements for 165th East Avenue and surrounding roadways. Garver provided design services for ODOT's first accelerated bridge construction (ABC) project that was required to match the existing bridge and roadway alignments. Two bridge alternates were designed for final plans, after which a transverse, sliding/skidding bridge move was selected to replace the existing bridge on the existing alignment after it was constructed on temporary supports adjacent to the existing structure. A track system was used to move the bridge into position atop new piers and abutments, allowing the existing bridge to stay in service while the new bridge was being constructed. Garver assisted ODOT in preparing conceptual design data for inclusion in a Transportation Investment Generating Economic Recovery (TIGER) grant application. After selection, Garver prepared a preliminary engineering report, preliminary engineering plans, and final plans, specifications, and estimates within an accelerated nine-month schedule. And while not structurally deficient, the project replaced what had been a structurally deteriorating bridge. The completed I-244 westbound multimodal bridge that spans the Arkansas River in Tulsa, includes four lanes of highway traffic on one level, and one High Speed Rail Line and pedestrian traffic on another level. The eastbound bridge is currently under construction. To learn what Garver’s Transportation Team can do for you, visit GarverUSA.com.